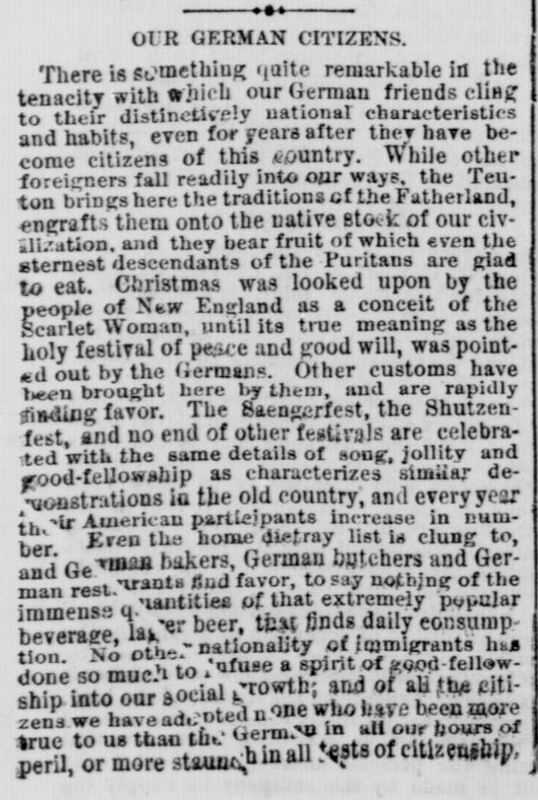 Indiana State Sentinel, February 20, 1861. Hoosier State Chronicles. Abraham Lincoln’s Whistle Stop Tour from Illinois to Washington D.C. 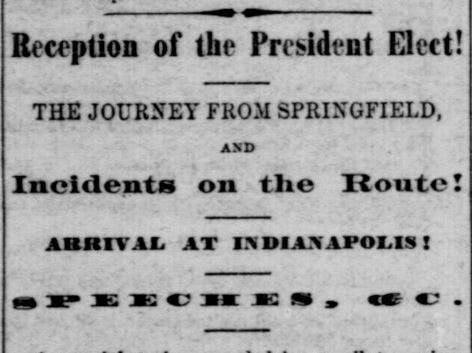 The president-elect, Abraham Lincoln, began his journey on February 11, 1861 from Springfield, IL to Washington D.C. One of his first stops on his way to Washington D.C. was Indianapolis, where he made the following uncharacteristically candid speech from the second story balcony of the Bates House. The Bates house, one of the first hotels in downtown Indianapolis, was established in 1853 and is famous for the first major policy statement given by President Abraham Lincoln to 45,000 on lookers from the hotel balcony. In 1903, The Bates House was turned into The Claypool, a bustling hotel famous for its lobby, which was reportedly the largest in the country, and its grand size of 450 guest rooms, each with its own private bath, a new phenomenon of the time. Many celebrities and presidents stayed at the Claypool, including William Howard Taft, Franklin D. Roosevelt, and Dwight D. Eisenhower. The site of the former Bates House is now the Embassy Suites in Indianapolis. “Fellow-Citizens of the State of Indiana: I am here to thank you much for this magnificent welcome, and still more for the very generous support given by your State to that political cause which I think is the true and just cause of the whole country and the whole world. Solomon says, “There is a time to keep silence;” and when men wrangle by the mouth with no certainty that they mean the same thing while using the same word, it perhaps were as well if they would keep silence. The words “coercion” and “invasion ” are much used in these days, and often with some temper and hot blood. Let us make sure, if we can, that we do not misunderstand the meaning of those who use them. Let us get the exact definitions of these words, not from dictionaries, but from the men themselves, who certainly deprecate the things they would represent by the use of the words. What, then, is “coercion?” What is “invasion?”–Would the marching of an army into South Carolina, without the consent of her people, and with hostile intent towards them, be invasion? I certainly think it would be “coercion,” also, if the South Carolinians were forced to submit. 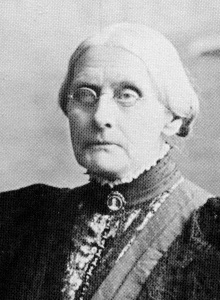 But if the United States should merely hold and retake its own forts and other property, and collect the duties on foreign importations, or even withhold the mails from places where they were habitually violated, would any or all these things be “invasion” or “coercion?” Do our professed lovers of the Union, but who spitefully resolve that they will resist coercion and invasion, understand that such things as these on the part of the United States would be coercion or invasion of a State? If so, their idea of means to preserve the object of their great affection would seem to be exceedingly thin and airy. If sick, the little pills of the homeopathist would be much too large for it to swallow.–In their view the Union, as a family relation, would seem to be no regular marriage, but rather a sort of “free love” arrangement, to be maintained on passional attraction. By the way, in what consists the special sacredness of a State? I speak not of the position assigned to a State in the Union by the Constitution, for that by the bond we all recognize. That position, however, a State cannot carry out of the Union with it. I speak of that assumed primary right of a State to rule all which is less than itself. If a State and a county, in a given case, should be equal in extent of territory and equal in number of inhabitants, in what, as a matter of principle, is the State better than the county? Would an exchange of names be an exchange of rights? Upon principle, on what rightful principle may a State, being no more than one-fiftieth part of the nation in soil and population, break up the nation and then coerce a proportionably larger sub-division of itself in the most arbitrary way? What mysterious right to play tyrant is conferred on a district of country with its people by merely calling it a State? 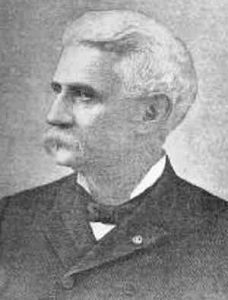 The May 15, 1902 issue of the Indiana Tribune. Courtesy of Hoosier State Chronicles. 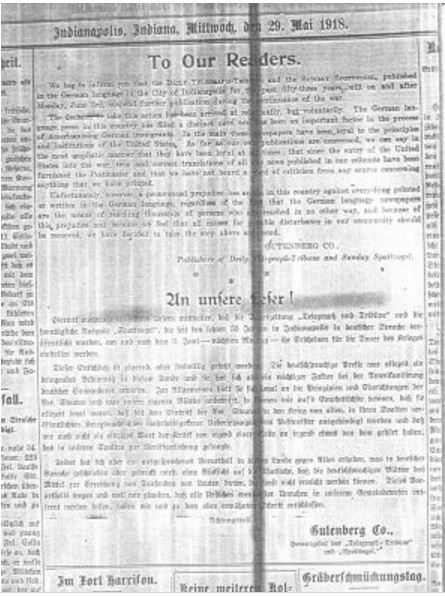 Since the NDNP’s project beginnings, nearly seven years ago, the Library of Congress could not accept German-printed newspapers because the font type commonly used during the 19th and 20th centuries (Fraktur) represented significant challenges when conducting Optical Character Recognition (OCR). (OCR allows the end-user the ability to research digitally-created newspapers with advanced word-search engines.) Fortunately, OCR software and technology have made significant advances over the years and now allow Fraktur font-based German newspapers’ a unique opportunity for ingestion by the Library of Congress. 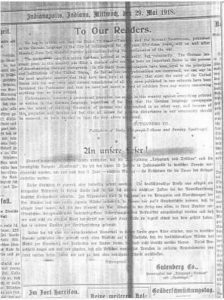 Seit der NDNP das Projekt Anfängen vor fast sieben Jahren, konnte die Library of Congress nicht akzeptieren deutschen gedruckten Zeitungen, weil die Schriftart häufig während des 19. und 20. Jahrhunderts (Fraktur) verwendet vertreten erheblichen Herausforderungen bei der Durchführung von Optical Character Recognition (OCR). (OCR ermöglicht dem Endbenutzer die Möglichkeit, digital erzeugte Zeitungen mit fortgeschrittenen Wort-Suchmaschinen recherchieren.) Glücklicherweise OCR Software und Technologie wurden bedeutende Fortschritte im Laufe der Jahre gemacht und erlauben nun Fraktur font-basierten deutschen Zeitungen “eine einzigartige Gelegenheit für Verschlucken von der Library of Congress. 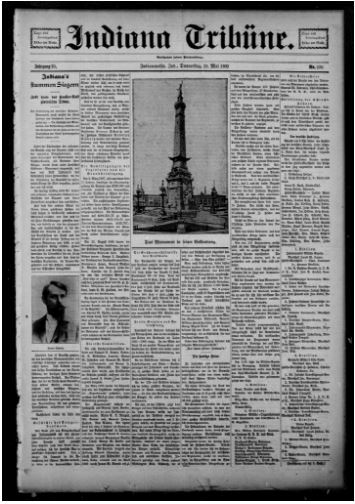 The Indiana State Library, realizing the importance of digitally preserving Indiana German newspapers, immediately selected the Indiana Tribüne to be digitized, OCR’ed and sent to Chronicling America. Die Indiana State Library, erkennen die Bedeutung von digital Erhaltung Indiana deutschen Zeitungen, sofort wählte die Indiana Tribune zu digitalisieren, OCR’ed und schließlich an Chronik Amerika. The Indiana State Library will host a public program on Friday, July 13 featuring Ms. Deborah Thomas, the National Digital Newspaper Program (NDNP) coordinator for the Library of Congress. Ms. Thomas will discuss the Chronicling America website and the importance of digitizing and preserving historic newspapers published in Indiana. The presentation will take place at the State Library at 315 West Ohio Street, Indianapolis, in the History Reference room from 10:30 AM to noon (EDT). Indiana is one of twenty-nine states currently participating in the NDNP program. 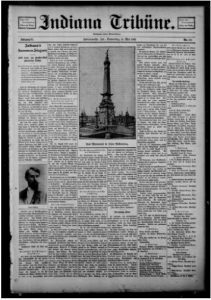 The Indiana State Library, in partnership with the Indiana Historical Society, is digitizing a selection of Indiana’s historically significant newspapers as part of the National Endowment for the Humanities (NEH) NDNP grant. 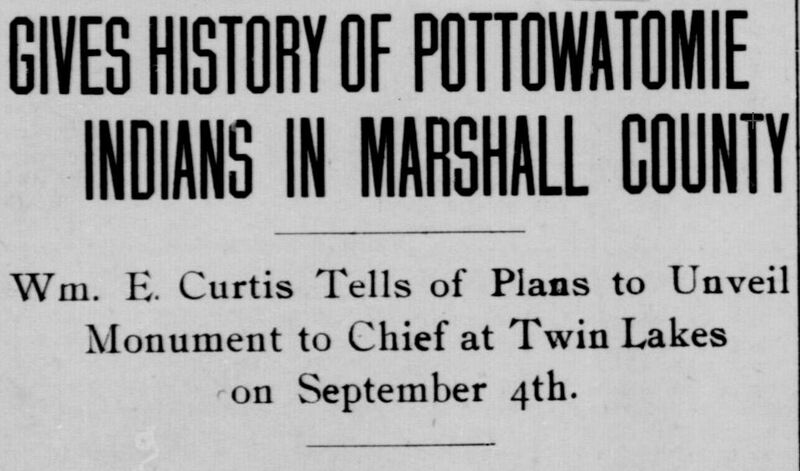 Newspapers digitized as part of this two-year project will be included in the Library of Congress’ Chronicling America website, which provides access to information about historic newspapers and select digitized newspaper pages. 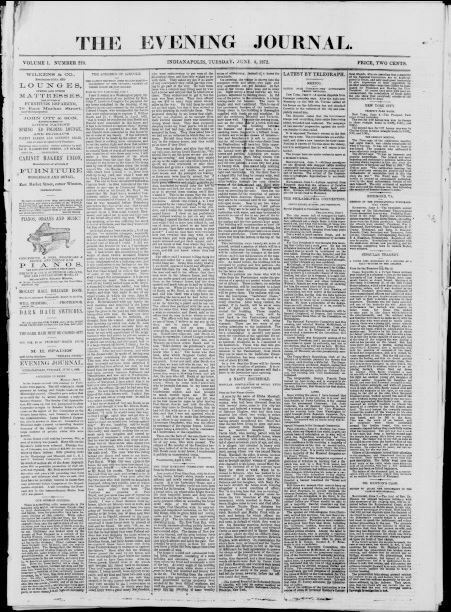 The NDNP is a long-term effort to develop an Internet-based, searchable database of U.S. newspapers with descriptive information and select digitization of historic pages. This program is worth two (2) Technology Library Education Units toward public librarian certification. Please contact Indiana NDNP project manager Chris Ittenbach at cittenbach@library.in.gov or (317) 234-8153 if you are interested in attending the program. Visit either the project wiki (http://208.119.72.66/digiwiki) to monitor the Indiana NDNP project and receive real-time project status reports. The May 29, 1918 issue of the Taglicher Telegraph und Tribune. Courtesy of Indiana State Library. 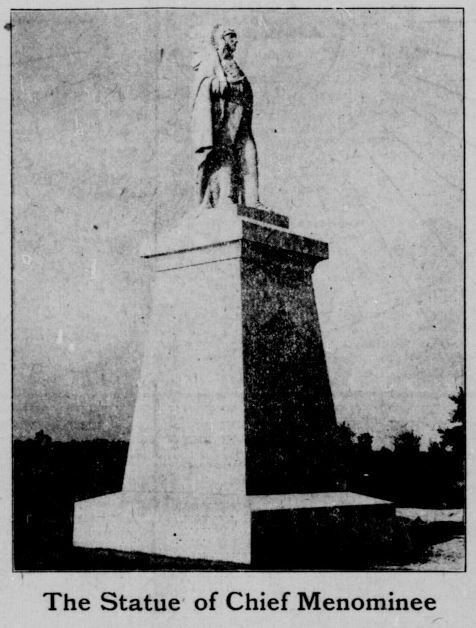 An editorial in the May 31, 1918 issue of the Indianapolis Star. Courtesy of Indiana State Library.